When I heard that Ryan was to do the pictures I was over the moon- I just adore the fun style of his work. Ryan, There’s a Cow in the Flat was the first children’s book you illustrated, was it a big decision to take Hush Puppy Books offer of work? Not at all, I knew I wanted to work with you and Hush Puppy Books immediately, I saw it as a great opportunity to try something new and exciting. I just adore how you have interrupted the characters in the book; did you find it easy to decide how to make Oscar look? It took me a while to decide what I wanted Oscar to look like, but after a few thumbnail sketches he started to naturally form into the character that you see in the story. 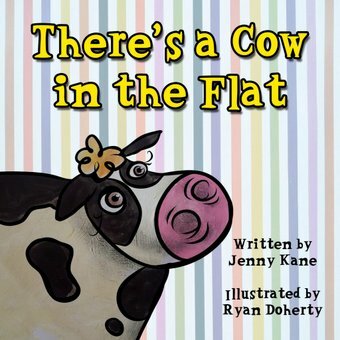 My children each have their own favourite pictures in There’s a Cow in the Flat, do you have a favourite of all the illustrations you have drawn? Definitely the space cow! That was also my favourite page to illustrate. Children’s fiction is quite a departure from your usual work. What are you working on at the moment? It is very different to what I’m used to, but it seems I’ve caught the bug for children’s literature, I’m currently working on my own children’s book complete with illustrations by myself. 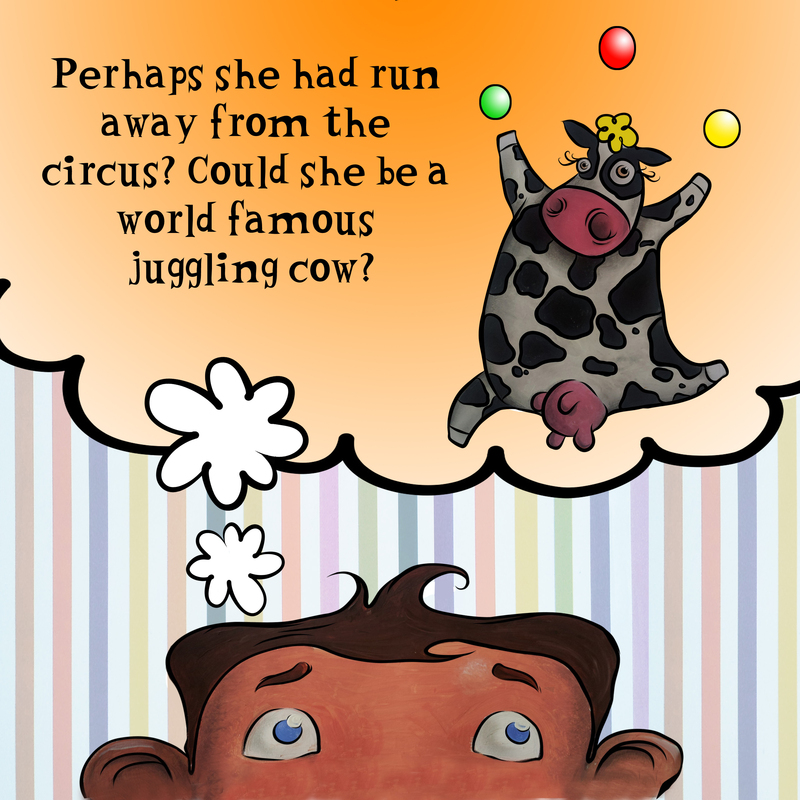 Would you consider doing another picture book in the future? Yes, without a doubt. I already cant wait to get stuck into new ideas. Where can we find you on Facebook and Twitter? Thanks ever so much Ryan! When I took There’s a Cow in the Flat into the local primary school they liked the space cow and the juggling cow best! Good luck with your solo book- can’t wait to read it! Would love to work with you again. i heart Ryan and Jenny!